Imperial Tobacco were looking to create a temporary secure area on the 2nd floor of their building. After consultation with Industrial Partition, samples of different mesh types were considered to fit their criteria. Expamet expanded mesh was selected as the ideal product due to its strength and mesh size, being both anti-climb and very difficult to cut! 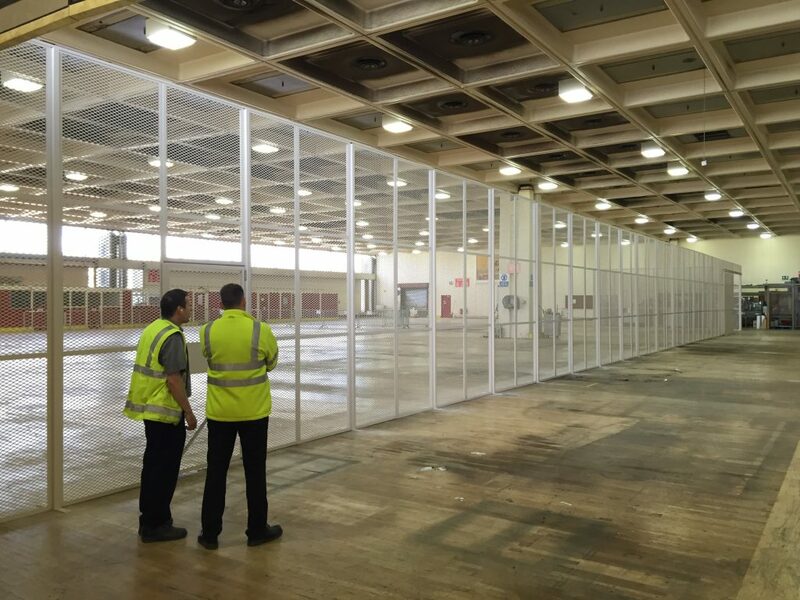 110 meters of Expamet mesh partition were fitted in 7 days, along with a sliding door and an emergency exit gate. If you’re looking for the same type of solution for your business, get in touch with us today.